Here is a perfect gift or decoration for your upcoming Thanksgiving gathering. 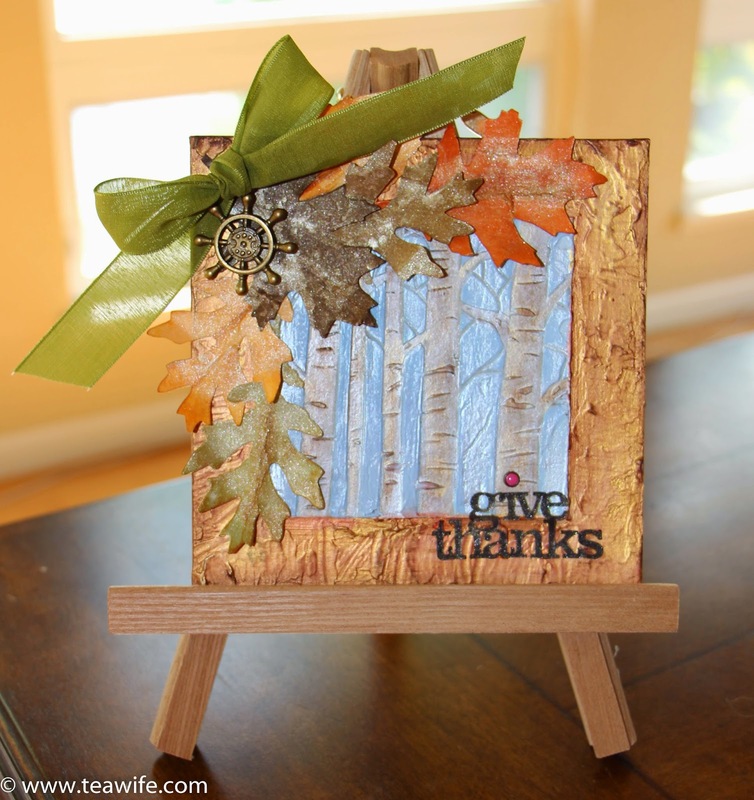 You can find the tutorial for this mixed media piece by clicking here. Very nice, I love the birch trees.